What is a Heat Pump, Do You Need One? Ironically, a heat pump is actually just an air conditioner, but a certain kind. If you’re considering buying a new A/C system for your home, one of your options might be to upgrade your system to a heat pump. But, what is that? Does it pump heat out of thin air somehow? Surprisingly, the answer is yes, it does! Well, in the same way that an air conditioner does, with the compressor, fan and all. Only, technically in reverse. 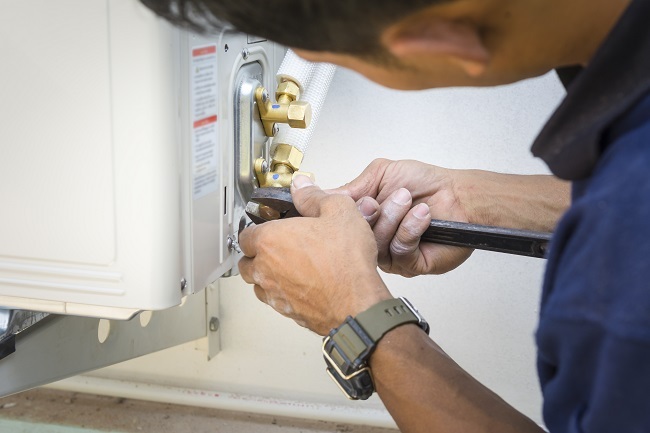 During the winter, a heat pump air conditioner can be set to heat mode, which activates a valve inside the pipes to reverse the flow of refrigerant. Thereby, instead of pushing heat out of the house, heat is taken from outside and brought in. Even if it’s really cold outside. It just relies on the temperature difference to make the transfer. With the final result being warm air coming from your air vents. Is all this fancy technology worth it? Well, if your home isn’t setup with a propane or natural gas line, then a furnace isn’t an option for you. In that case, you likely have an electric heater inside your air handler. Now, they work really well. They will blow out very hot air, but they’re literally made of a small metal coil like that inside of a toaster. They are very energy consuming, using anywhere from five to ten, sometimes even 15 kilowatts. Imagine trying to heat an entire home using only a toaster. It’s a lot of power. A heat pump would solve that issue. A heat pump would be able to maintain the home at a constant temperature all winter long. This will keep you warm, and keep your electric bill from skyrocketing. If you’ve made a decision and want to replace your rusty old air conditioner, or just want someone to come take a look at your system and clean, repair or replace it, contact us today at Wayne Price Heating & Air Conditioning.